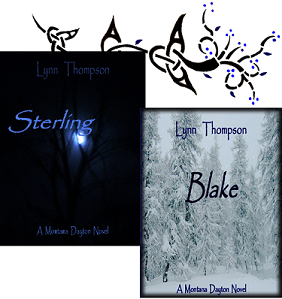 You can download Blake-A Montana Dayton Novel (US) http://amzn.to/yFRFgr (UK) http://amzn.to/yZAZPn #action #adventure #fiction #kindle #Free 9/2-9/4. That’s Sun. Sept. 2nd until Tues. Sept. 4th! Lottery winner and venture capitalist Montana Dayton is on vacation, sorely needing a break from her business. She purposely had a house built deep in the mountains, away from civilization in hopes to spend the winter alone with her dog Killer. Unfortunately the universe is conspiring against her. Montana‘s getting creepy feelings from something or someone on her property and Rose, her neighbor, is bringing new “friends” into her life. title and look forward to future works from the author. of opening chapters we meet some of the other characters who live up in the mountains. There is Montana’s friend Rose. There is also Rose’s boyfriend Bear. keeps intruding into her life. Is it just that he finds her desirable? Or is something more going on?